Five years after the announcement that Holden would end car manufacturing in Australia, the closure of the company’s Elizabeth plant continues to take a heavy toll on some former workers and their families. Denis Masters remembers well that fateful day of December 11, five years ago, when he saw speakers and a stage being set up on the lawns outside Holden’s Adelaide factory. “This is not looking good. There’s something happening,” he thought to himself. The Waterloo Corner resident, now 42, had good reason to be worried. A day earlier, then treasurer Joe Hockey had dared Holden to stop making cars in Australia. “Either you’re here or you’re not,” Hockey thundered from Canberra. The words echoed in Adelaide. Holden’s workers were told to down tools and gather on the lawn. The factory was to shut. It was the beginning of the end of car manufacturing in Australia. Ford and Toyota soon followed. As they heard the news, workers began crying, hugging, swearing. “We were shocked. Did that really just happen?” Masters recalls. Some workers had clocked on at the factory for 40 years. Some families had multiple generations – fathers, uncles, brothers, cousins – all there at the same time. For Masters, his dream of a comfortable retirement was shattered. Over 12 years at the plant, he had worked his way up from production operator to shop steward. “When I had my uniform on before I went to work, people would look at me and go, ‘Damn, I’d love to work there’,” he says. The worst was yet to come, with the first wave of forced redundancies in May 2015. “They didn’t get enough volunteers, and so we had to watch the boss walk around and tap someone on the shoulder and say, ‘Sorry, you’re being made redundant today’. Since the Elizabeth factory officially closed last year, Masters – who spent 16-and-a-half years there – has seen first-hand the good stories and the terrible. 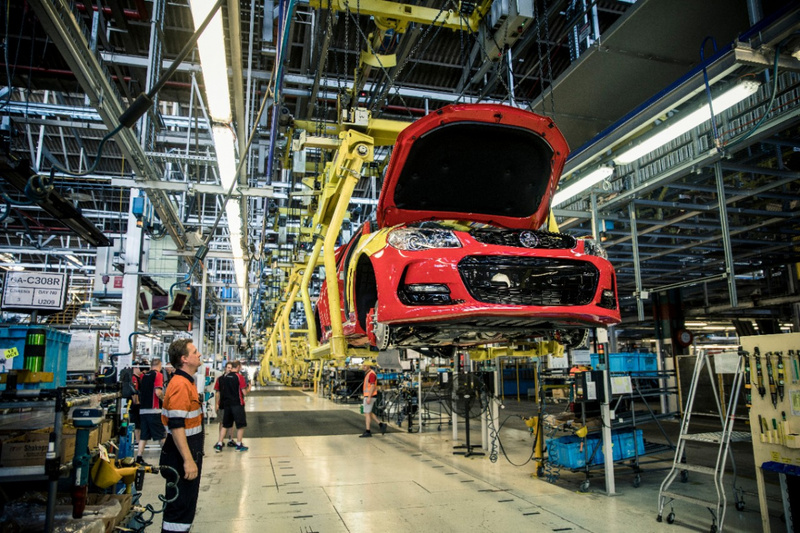 As outreach officer at the Australian Manufacturing Workers Union, it is his job to track where each of the laid-off Holden workers has ended up. On the very last day of manufacturing, October 20, 2017, there were about 1200 workers left. It has now been 13 months since they received redundancy packages. For some, money is running out. The average Holden worker of 15 years would have walked away with a payout around $100,000, or roughly 64 weeks’ pay, Masters says. That package included sick leave, annual leave, unused RDOs and a service bonus. 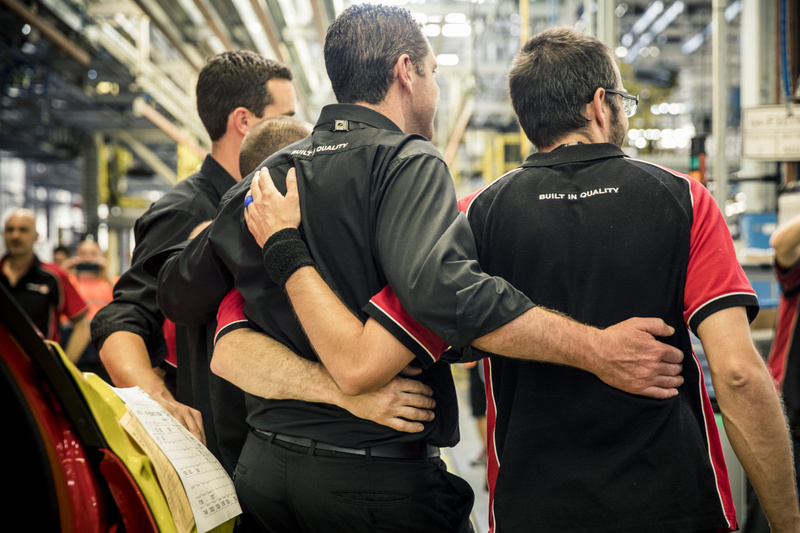 It may sound like a lot, but the average Holden worker has taken 54 weeks to find full-time work. And they are ineligible for unemployment benefits for 64 weeks. “We might like to think there isn’t age discrimination, but there is and it’s never going to disappear. That is just a fact,” Masters says. The closure has taken a heavy toll on families. Many partners have had to increase their hours or do paid work for the first time. Masters’ beautician partner, Vanessa, has had to up her hours from part-time to almost full-time, and expand her services from hair and nails to spray tans, eyelashes and wedding make-up. Their new working hours have affected family time with their daughters, aged 13, 16 and 19. Like many of the workers, Masters is angry at the Government. “Three car makers, early in December 2013, were asking for $500 million over 10 years, which worked out to around $7 per employee in the industry,” he says. But he also accepts the market was changing, and that Holden had decided to target family drivers over petrol-heads. At its peak, in the early 2000s, the plant was making more than 800 Holdens a day. By 2013, it had dropped to just over 400 – and only around 300 were selling. The factory’s car park was piling up with unsold vehicles. “They changed the whole platform of the car. “The Holden Commodore was a rear-wheel-drive, V6 or V8 vehicle, renowned to be quite sporty. It could tow the caravan or the boat around. A big Bathurst winner. “Now, we’ve got a smaller version. It’s a front-wheel-drive, four-cylinder or V6. There’s no V8. “The car’s excellent. But it’s for a different group of people. An HSV owner will never buy one. Masters’ contract ends in December. He’ll probably be out of work over Christmas, and he can’t receive welfare for a few more months. His daughters are starting to ask questions. “It’s not just me that I’m worried about because I’ll have bread and water if I need to,” he says. Is there any work going in your office, he asks. Perhaps he isn’t joking. This article was originally published on The New Daily as part of a series marking its fifth anniversary.